One category to rule them all. Spotlight on one of our junior players. Sometimes JNJG appears in the media. Stories worth writing about at JNJG. Titleist Australia is the official product sponsor of the Subaru State Championships. Jack Newton lists the MyGolf schools program as one of the most important growth tools for the game of golf. Josh Robards (Newcastle GC) and June Song (Avondale GC) have triumphed in tight finishes at Shelly Beach in the first ever Greg Chalmers Junior Masters. Having battled the elements during Saturday afternoons opening round, the players were pleased to see milder, more friendly conditions for their 7am start. After sharing the overnight lead with Jye Pickin (Avondale GC), the pair tussled the lead several times during the opening 9 holes. A birdie on the par 3 9th allowed Pickin a 1 shot lead heading into the back 9. However, after a double bogey on the 10th for Pickin and a dropped shot on 11th for Robards, the pair arrived on the 15th tee again tied for the lead. The tournament turned on its head with a birdie on the 15th for Robards and a double bogey on the 16th for Pickin. A two-putt par on 18 was enough for Robards to secure a 2-shot victory. Pickin's round of 76 was enough for him to secure the 16 years and over division. Jake Riley (Toronto GC) fought hard in the 12 & 13 years with a 7-shot victory. Max Fischer (Moore Park GC) made his way back into the winner’s circle, but did it the hard way, with victory on the 2nd playoff hole over Josh Hawkshaw (Toukley GC) to claim the 11 years and under. June Song (Avondale GC) will tee up for her NSW Junior Championship title defence in form with a tight win in the Girls Division. Needing to make up 4 shots on overnight leader Yerin Kim (Strathfield GC), Song fired early with birdies on the 2nd, 3rd and 9th holes, turning -2 and sharing the lead. Song found herself in the lead for the first time after making birdie and opening a 2-shot lead. Yerin fought back but was unable to secure the birdie she needed on the 18th to force a playoff. She would have to settle for a win in the 12-13 years age division. Ryde Parramatta pair Yeleen Son and Nara Shin secured wins for their club, winning the 14-15 years and 11 years and under divisions respectively. Nara improving on her 9 shot Macarthur victory with a 20-shot victory at Shelly Beach. It was an incredible weekend at Shelly Beach, with over 120 players playing in a brand-new event. The success of the event is due in no small part to the members of Shelly Beach, the staff in the Proshop and clubhouse, and greens staff on course. It was the perfect curtain raiser for a huge fortnight for the JNJG. The NSW Juniors Championships will kick off at Charlestown and Belmont Golf Clubs on Tuesday (read more about it here) and the JNJG 12 Years and Under State Age Championships at Penrith and Dunheved Golf Clubs. Jye Picken and Josh Robards lead after the first round of the Greg Chalmers Junior Master after extremely difficult conditions at Shelly Beach Golf Club. Winds of over 40km/h tested the field as they made their way around the coastal layout. After teeing off the 15th, Robards battled to be 3 over through his first nine holes. However, a birdie and 8 pars on his back nine, an impressive total of 14 pars in the tough conditions, enabled him to a share of the first round lead. It was a different story for Picken, with just the 8 pars in his +2 round, which included 4 birdies. Rounding out the leading group on +6 is Brayden Brooks and 13 year old Oliver Davis. It's looking like another impressive Junior Masters for Yerin Kim, as she takes a 1 shot lead in the Girls Division. It was a tough day for Kim, but 3 birdies throughout her round would keep her nose in front at the end of play. With 18 holes to play, she'll be looking to hold out 13 year old Claire Shin, who if not for 2 bogeys in her final 3 holes, would have have the outright lead herself. With work to do, but still within reach are Yeleen Son and defending NSW Junior Champion June Song. The mornings conditions should allow for some lower scores, with the 2nd round getting underway at 7am. A full field will tee it up this weekend at Shelly Beach Golf Club for the first ever Greg Chalmers Junior Masters. After successfully hosting the 2016 and 2017 NSW Juniors Championships, Shelly Beach Golf Club, in conjuction with JNJG, introduced this new event in order to maintain it’s connection with NSWs junior golfers. The tournaments namesake, Greg Chalmers, has an impressive 11 professional wins to his record, including 2 Australian Open Championships (1998, 2011), 2 Australian PGA Championships (2011, 2014) and a US PGA Tour win in the 2016 Barracuda Championship. Many of this weekend’s field will be hoping to use the event as a spring board into next week’s NSW Junior Championships. 2017 NSW Junior Champion June Song (Avondale GC) will lead a strong field in the Girls Division, which will also include 2018 Peter O’Malley Junior Master’s Champion Annika Boyd (Toukley GC), as well as North Coast Junior Master’s Champion Yerin Kim (Concord GC). Jye Pickin (Avondale GC) will look to add to his 2018 Junior Master’s wins after successfully defending his North Coast title. Also hoping to become the first ever winners of this event are Camran Walton (Kurri Kurri GC) and from out of state, Victorian James Walker. 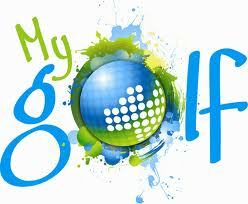 Play gets under way on Saturday with a 12.00pm shotgun start at Shelly Beach Golf Club. Round 2 will be a 7.00am shotgun start.